Jeffrey Allan Steiger, LCSW, is a psychotherapist and family specialist. 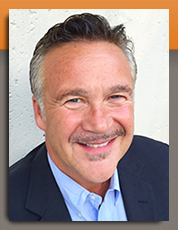 He has been in private practice for 20+ years with offices in New York City and Westchester. He is a graduate of New York University. His clinical background includes psycho-analytic studies at the Post Graduate Institute in New York City, with special training in marriage and family therapy. In his role as psychotherapist, he has worked with individuals, couples and families. In addition, he has led groups for men and women with a focus on interpersonal relationships and their changing roles in our society. Jeffrey was invited to be on site as a team of mental health professionals after 9/11 in 2001, where he provided crisis management for several large financial institutions directly affected by the tragedy. His specialized training in crisis management is currently utilized by several major companies where he is brought into corporations to address crisis in the workplace. He also leads corporate trainings for upper management and speaks to large groups of employees on topics that range from stress management to conflict resolution. Jeffrey has been trained in the interdisciplinary model of Collaborative Divorce by the New York Association of Collaborative Professionals and The Hudson Valley Collaborative Divorce Association, but perhaps his most significant training related to his work as a family specialist came when he went through his own divorce. This experience awakened in him a passion to help others go through the process in a more humane and less adversarial way. Currently, he raises his son with his former wife. Jeffrey serves on the Board of Director's for the New York Association for Collaborative Professionals. He speaks to other collaborative professionals through out the country about the role of the family specialist as well as how to work with high conflict couples and the issues that often arise between them as they approach divorce.